Rochester--Hector Benavides, 81, of Rochester passed away Tuesday, March 27, 2018 at home with his loving family at his side. He was born on June 8, 1936 in Crystal City, Texas, the son of Enrique and Senovia Benavides (Ramon). As a young man, he moved to the Waterford Area where he spent the remainder of his life. He met and later married Karen Christianson. They have been happily married for the last 56 years. For the majority of his life, he was in facility maintenance for the Waterford Graded School District. In this position, for over three decades, he touched the lives of students and staff until his retirement. 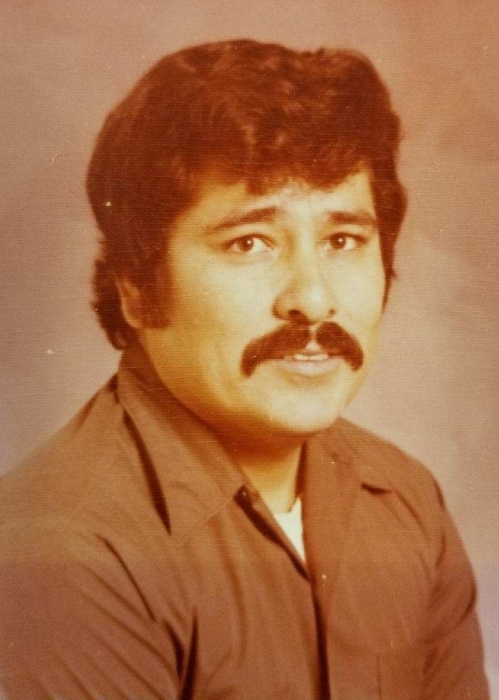 Hector loved spending time with his family going on numerous camping, fishing, and hunting trips. He also enjoyed motorcycle riding, canoeing, and traveling. An avid archer for over 5 decades, he participated in many archery competitions with his sons and grandsons and won many local, state and national archery championships. A devoted, proud grandfather, Hector loved attending the many sporting events of his grandchildren. He was their biggest fan, and cheering them on was one of his greatest pleasures. He will be dearly missed by his loving wife, Karen (Christianson) and his 3 children: Chris (Lynn); David (Diana) and Belinda (Don); his 9 grandchildren: Brandon, Brittany (Vince), Emily (Jake), Elizabeth (Tyler), Christopher (Shannon), Michael, Annie, Katie, Sam (Kerry); one step-granddaughter: Hannah (Mike); and a great granddaughter: Ariana. He is also survived by his brothers Henry (Sally), Oscar (Donna) and Johnny, and his sister Patsy (John), along with many nieces, nephews and cousins. A celebration of Hector’s life will be held on Saturday, April 7, 2018 at St. Thomas Aquinas Church in Waterford, Wisconsin. Visitation will be from 9:30 am until 11:00 am and will be followed by a mass of remembrance. A heartfelt thank you goes out to Dr. Paul Webber of Burlington who was Hector’s doctor throughout his life, and to the staff of DaVita Dialysis of Lake Geneva who cared for Hector the past few years. Additionally, appreciation goes to the volunteers of the Rochester and Waterford Rescue Departments for their help, and to Integrity Funeral Services for their assistance. Hector was a great husband, father, grandfather and great-grandfather. He will be deeply missed, and forever remembered by his wife and best friend - Karen (Honey).